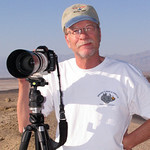 Hi, my name is Mike Schumacher and I've been interested in photography for many years. My first camera was a manual film camera many years ago. I purchased my first digital camera in 1998 and digital photography has come a long way since. I love to shoot everyday images, beautiful landscapes, Americana and wildlife. Currently I live in gold county in the beautiful Sierra foothills, a nice area for landscapes and wildlife. I am currently the president of the Placer Camera Club. http://www.placercameraclub.org .